The LED lamp receives wireless power from a transmitting plate at up to 50 mm distance. The wireless power goes through all non metallic materials. 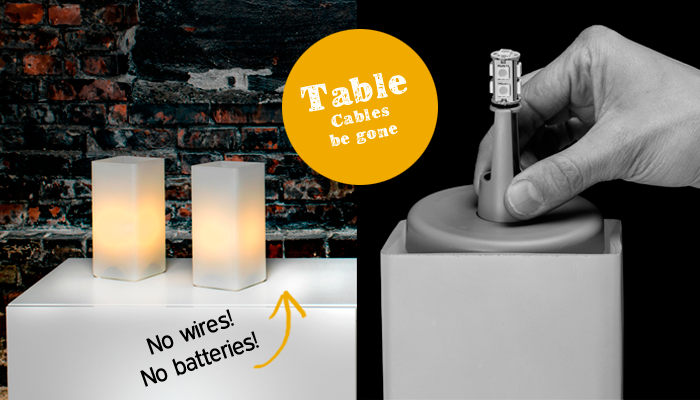 • Wirefreelight lamps are installed without any tools! 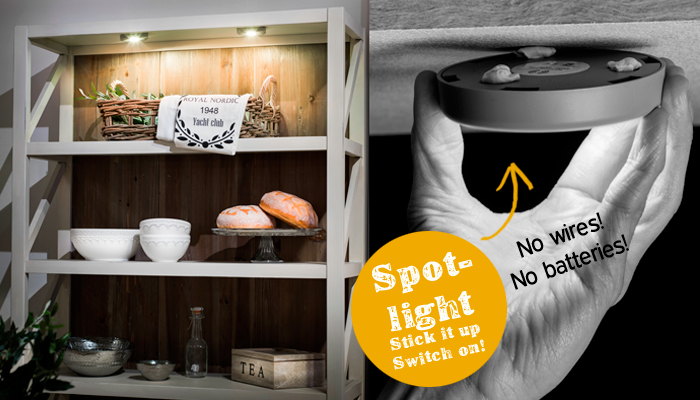 • No furniture damage drilling holes for cables! • All cables are completely concealed! • The product has no batteries!